Opponents of Question 3 have framed their campaign as a social issue, claiming the proposed ban on confined farm animals would create an unfair food “tax” hurting low-income families. But campaign finance records show contributors to the No on 3 campaign include an oil millionaire and several trade organizations. And the findings of study on a similar California law raises questions about how large a food “tax” would be created by the proposed Massachusetts law. Question 3 is opposed by Citizens Against Food Tax Injustice, which is led by Diane Sullivan of Medford, who says her experience with being homeless made her an anti-poverty activist. Citizens Against Food Tax Injustice is a loosely knit group of business and agriculture organizations, including the Massachusetts Farm Bureau Federation, the National Association of Egg Farmers, the National Pork Producers Council, New England Brown Egg Council, the Northeast Agribusiness and Feed Alliance and the Retailers Association of Massachusetts. Much of Citizens Against Food Tax Injustice’s support comes from Protect the Harvest, a nonprofit founded by Forrest Lucas, the Indiana millionaire who heads Lucas Oil, Inc. The group funded a failed lawsuit Sullivan filed together with Massachusetts farmer James Dunn in April, asking the courts to throw out the proposed ballot measure on the grounds that its wording was unconstitutional. Lucas has contributed $196,500 out of a total of $302,790 raised by Citizens Against Food Tax Injustice, according to the latest filings with the Massachusetts Office of Campaign and Political Finance. Other donations largely come from trade associations such as the Retailers Association of Massachusetts and the National Pork Producers Council, which combined, gave $102,268. That total is dwarfed by the nearly $2.4 million the Humane Society of the United States has contributed to the Yes on 3 campaign. Protect the Harvest, founded by Lucas in 2014, has opposed a variety of animal protection laws, including a Missouri puppy mill law and an attempt to ban wolf hunting in Michigan. 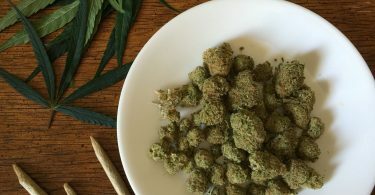 Brian Klippenstein, executive director of Protect the Harvest, said his group has stepped in in such campaigns because other interests are afraid to. Sullivan claims the proposed question would raise production costs, increasing the price of eggs and disproportionately harming low-income families. Sullivan claims the ballot question would cost consumers $250 million more per year, calling it a regressive “regulatory tax.” Her numbers are based on a Cornell University study of the economic impact from a 2015 California ballot initiative. That study found that, adjusting for an avian flu outbreak that year, California consumers spent about $14 more per person each year on eggs, which works out to about $70 a year for a family of five. Sullivan said her experience doing anti-poverty work for 14 years made her a natural opponent of Question 3. A former policy director for Homes for Families, an organization that works to end family homelessness, she left her job to campaign against Question 3. Sullivan said her own family became homeless in 2001 and was placed in a hotel in Woburn, where they had no access to a refrigerator or cooking facilities for two months. They were then transferred a more traditional shelter in Somerville in the spring of 2002. She said although her family has been in stable housing since 2012, she has not forgotten their struggle. Sullivan said supporters of Question 3 will accuse her of being backed by “big agriculture,” pointing to Lucas and other deep pocket contributors. But she said her group is up against a well-financed coalition led by the Humane Society. 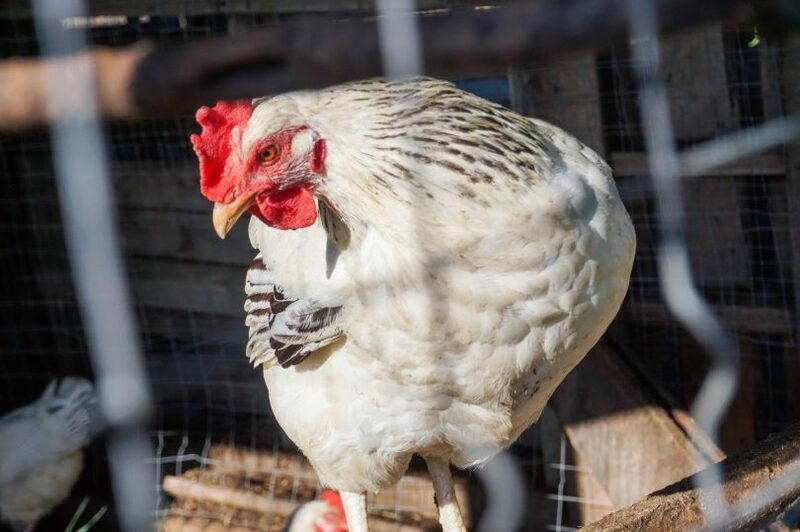 The Humane Society of the United States has been the main contributor, donating $2.39 million to Citizens for Farm Animal Protection, the campaign supporting a yes vote on Question 3, according to campaign finance records. The society was also the driving force behind Proposition 2 in California. Stephanie Harris, the Massachusetts director for the Humane Society, said her group has been trying to pass a law in Massachusetts for about a decade. When it became clear working through the Legislature wasn’t going to take up the issue, she said the group turned to the ballot initiative petition process, easily surpassing its goal of gathering 170,000 signatures supporting the ballot. But she emphasized the issue has had the grassroots support. 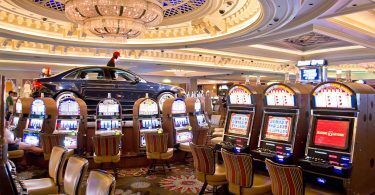 Statehouse Report: Question 1 — Who Wants More Gambling?